The 2019 edition of Build Expo took place in Assiut from April 1st to 3rd at the Exhibition Center in Assiut University. The yearly exhibition showcases a wide range of building materials and attracts many visitors from engineering and construction professionals. This year it was held under the auspices of Major General Gamal Nour El-Din-Governor of Assiut, the Egyptian Engineers Syndicate, the New-Assiut City Authority, the Nasser City Authority and the Housing and Utilities Directorate and Assiut University. 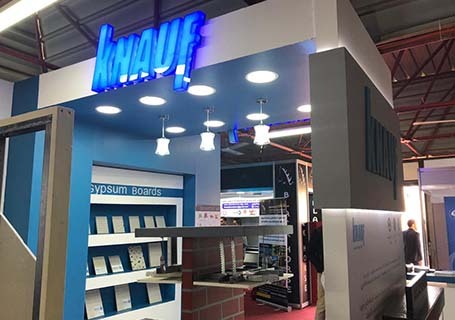 Knauf Egypt is well known as a leading supplier of a wide range of quality building materials throughout the country, and the company welcomed the chance to present its comprehensive range of gypsum board at Build Expo. Dealers and distributors from all over the country, including many from Upper Egypt, flocked to benefit from very attractive deals on Knauf products, reinforcing Knauf’s presence and popularity at the exhibition. During the exhibit, students from the Faculty of Engineering visited Knauf booth to know more about the products, Knauf team was very welcoming and explained the important role their modern products play in the construction industry nowadays. 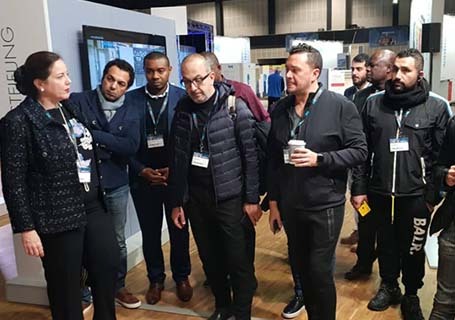 Knauf workshops and training sessions in the latest in construction technology were also available for consultants, installers and students who showed considerable interest. Always a key event in the building industry calendar, next year’s event is planned to be held in Aswan. Knauf Egypt endorsed its Corporate Social Responsibility commitment to the student community once more at the three-day Associative Power Engineering Community (APEC) event which kicked off on the 17th of March, 2019, by participating as a gold sponsor. 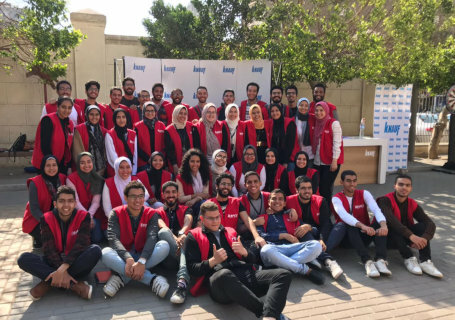 The APEC Premium event took place at the Faculty of Engineering of Ain Shams University and was well attended by students who appreciated having the chance to interact with members of the Knauf Egypt team. On the third day of the event Knauf gave an orientation on lightweight building and uses of gypsum board, along with an overview of workshops and training courses run by Knauf Egypt and information on how to register. During the event; Knauf team enjoyed being involved in a lot of entertaining activities and games with the students in attendance, with prizes and rewards being an added attraction. The event was obviously considered a success by all who participated, and a host of photographs will be supported by good memories well into the future. 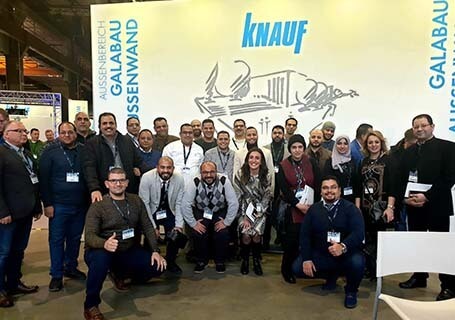 Knauf Werktage 2019 in Mains saw a large initiative from Egypt, comprising 12 consultants and main contractors and 14 dealers, along with 8 of the Knauf Egypt team, headed by the General Manager. The group gathered key business stakeholders and customers together in one unique trip, proving a perfect opportunity for exchange of ideas and knowledge. Werktage took place on the 22nd and 30th of January and showcased Knauf products and innovations. It is considered one of the key events in the global building industry calendar, and attracts construction industry professionals from all over the globe. After attending Werktage, the group travelled to Prague to relax and enjoy the beauty of the historic city. It created a chance for the Knauf partners to look at business opportunities and growth while strengthening bonds with the Knauf team. Partnership is an important and valued part of Knauf’s ethos, and trips such as this provide a positive, bonding environment that creates benefits for all involved. 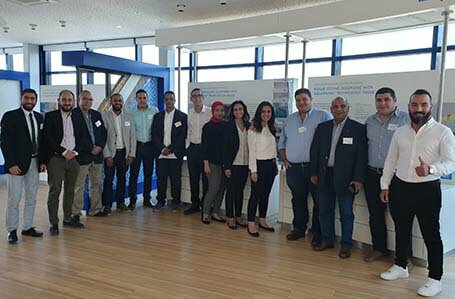 Six of Egypt’s top interior design firms travelled to Germany to attend Knauf Werktage in Berlin, one of the key events in the global building industry calendar. The group comprised Karim Mekhtigian and Mohamed Fares of Alchemy, Ehab Mokhtar of IDIA Design, Hany Saad of Hany Saad Innovations, Mohamed Talaat of M T Architects and Mohsen Rizk and Ahmed Tarek of Studio Five. The group was accompanied by a team from Knauf Egypt, and enjoyed a personal familiarisation tour of the exhibition with Board Member, Isabel Knauf. The visit to Werktage allowed the designers to gain deeper knowledge about Knauf systems and products, in addition to seeing what exciting new advances were being made in the industry. Following up on this productive and informative visit to Werktage, the group travelled to Prague to enjoy the spectacular architecture, cuisine, culture and scenery. It provided a valuable opportunity for the designers and Knauf Egypt team to discuss current market requirements and developments while becoming better acquainted in an iconic and beautiful location. 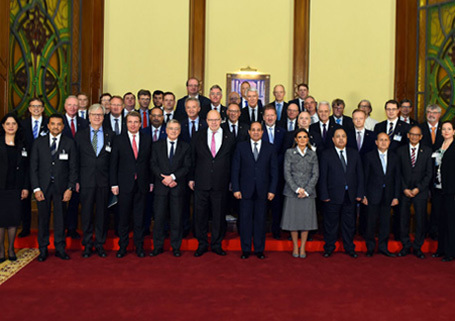 Egypt’s President, Abdel-Fattah El-Sisi met with a delegation of leading representatives of the German business community in Egypt in the presence of Germany’s Federal Minister for Economic Affairs and Energy, H.E. Peter Altmaier, on the 3rd of February this year. Ms. Isabel Knauf, a member of the founding family of Knauf and board member of Knauf Group, who is directly responsible of the company’s business development in the Middle East, Africa, Southern Europe and South Asia, was a key member of the delegation. 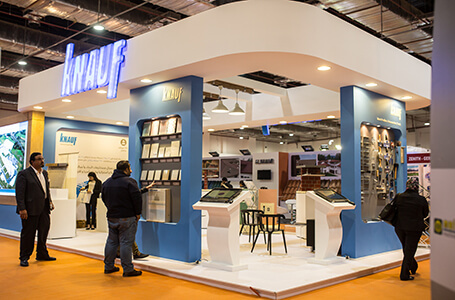 Knauf, as a company, already has a presence in Egypt and its products have been used in commercial and residential projects across the country. During her presentation to the President, Ms. Knauf demonstrated how Knauf Egypt is planning to expand its presence in the Egyptian market, along with strengthening current investments in Egypt. 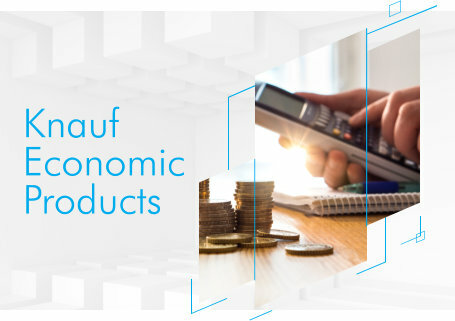 Germany is a major investor in Egypt; and Knauf alone holds one sixth of the total German investment in Egypt, which is a significant amount for just one company. Once again, Knauf Egypt has arranged a trip abroad for its valued local contractors. These trips have proved to be a great way of forging closer bonds between the contractors and local Knauf team, in addition to giving the guests a chance to learn more about Knauf and its’ latest products. This comes as the second trip the company organizes for its local contractors. The trip took place from the 15th to 25th September 2018 and kicked off with a two-day seminar at Knauf Aquapanel. This covered both theoretical and practical aspects of the product and gave the eight consultants from leading Egyptian companies who deal with Knauf, and the five accompanying Knauf Egypt team members a firsthand look at the workings of the German production plant. The informative seminar was then followed up by a complimentary 8-day trip to enjoy the beautiful sights, cuisine and culture of the region. Following up on the recent launch of a new attractively- priced line of products for the local market, Knauf Egypt has now launched a selected range of imported metal profiles to complement the items. Building industry professionals can now find Omage, Main C Section, L Angle in two sizes of 0.4mm and 0.45 mm at their local Knauf distributors. The introduction of these accessories is a further step in Knauf Egypt's commitment to meeting the requirements of its customers while raising the standards of building materials in the Egyptian market. 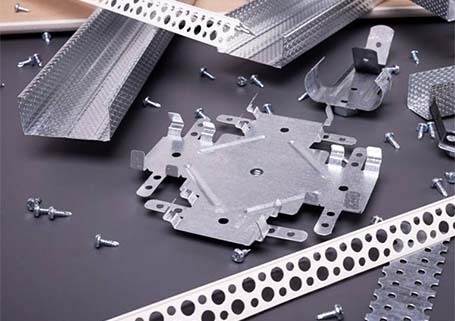 With construction going ahead at an unparallel pace, both in the commercial and residential sectors, the demand for high quality building products and accessories has increased exponentially. Already well-established in the market and recognized for its high standard building products, systems and accessories, as well as excellent customer support and dependability, Knauf Egypt recognized a growing need for that same quality, in a specialized line of key products, at a very competitive price. This would enable engineers and consultants in the building industry to deliver the same German standard, yet at a cost that would reduce the bottom line. Always innovative and ready to explore new avenues, as well as upholding a strong customer support ethic, Knauf Egypt has come up with a new line to fill the slot. Ramadan of 2018 was celebrated in special way by Knauf Egypt. In order to bring together each sector of its ever expanding network of technical experts, the company hosted four separate Ramadan events. The warm, friendly occasions allowed each group to mingle and get to know each other while enjoying Knauf's hospitality. 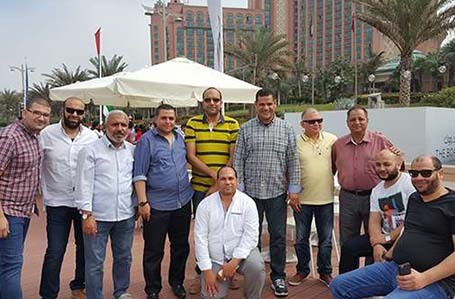 The first of these gathered together 70 sub-contractors at the luxurious Le Méridien Cairo Airport Hotel, and was followed by a second event for 140 consultants, also at the same venue. 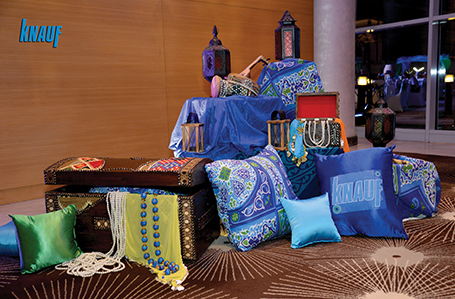 The third event, which also took place at the Le Méridien Cairo Airport Hotel hosted 165 of Knauf Egypt's valued dealers. 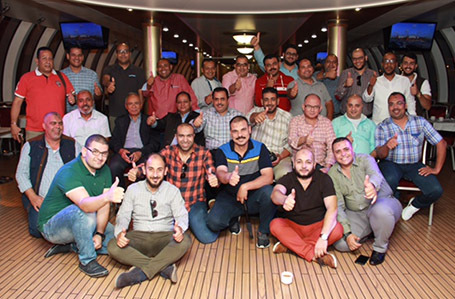 The final – and for the first time- installers Ramadan gathering took place in Kheiam El Mandi in Kerdassa, where 150 installers enjoyed not only a wonderful Ramadan meal, but also an entertaining menu of games and an interactive Aquapanel game which demonstrated the strength and durability of the product. Each occasion provided the Knauf Egypt team and the guests to mix and get to know each other on a more personal level, an important element in Knauf's business and work philosophy. A group comprising 29 dealers and 5 local Knauf employees enjoyed a trip of a lifetime to Singapore and the Indonesian island of Bali from the 28th of March to the 7th of April earlier this year. This was the 5th trip to a top travel destination to be hosted by Knauf Egypt in the course of the past three years, and it gave the group a chance to get to know each other better while immersing themselves in the culture, cuisine and sights of these two remarkable locations. As part of its mission to promote closer ties and communication with its dealers, Knauf regularly hosts trips to international locations, allowing members of the Knauf team to forge closer bonds with the dealers they regularly cooperate with on a business level. Every trip has been considered an outstanding success, resulting in a host of great memories. 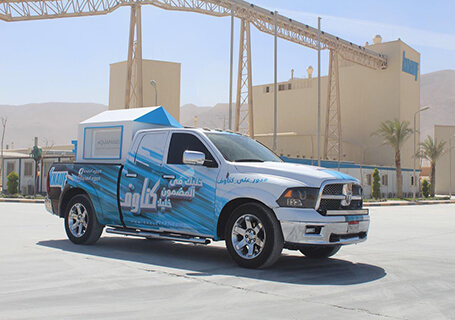 As spring set in with glorious weather, Knauf Egypt hit the road from the 2nd of April until the 18th of May 2018 to visit installers across the country campaigning Fuga Gips compound. The distinctive Ram pickup truck was easy to spot as it journeyed through Luxor, Sharm El Sheikh, Menoufia, Mansoura, Assiut, Hurghada and Cairo. With the company CEO there on occasion to hand out gifts and Scratch and Win for Fuga Gips bags, it was a great way for Knauf Egypt to get to know its customers a little better. Knauf Egypt was recently an exhibitor in leading construction industry trade fair, BATIMAT Egypt 2018, which took place from the 1st to the 4th of March at the New Cairo Exhibition Center. Over 2,000 fair attendees visited the Knauf booth over the four-day period, giving them the opportunity to view and gather information on the full range of Knauf products. The visitors included representatives from Knauf Africa, in addition to many dealers from the whole African region. The event held special significance for Knauf Egypt, as the hall hosting the event was constructed using cement board from Knauf. This is just one of the landmark buildings in Cairo using high quality Knauf products and systems. BATIMAT is the number one leading show in the building industry in Europe and West Africa. All the decision makers meet the contractors to choose their partners and find products and services for the buildings of today andtomorrow. Knauf Egypt recently arranged a three day familiarisation trip to Russia for 25 local Egyptian dealers of Knauf products and systems. The participants were selected on the basis of their sales levels of Knauf products. During the trip, which took place from the 1st of August 2017, the dealers were accompanied by seven members of the Knauf Egypt team. Their visit covered both Moscow and St, Petersburg, during which they were able to see the main touristic sites and points of interest. The trip provided a good opportunity for the local team members to play host to their guests while enjoying the many entertaining highlights of the trip. Knauf Egypt has recently taken further steps in cementing its business partnership with dealers of its high quality products and systems. Knauf Egypt relies heavily on the sales efforts of its local dealerships, who play an important role in reaching out to an active building industry. The close cooperation between Knauf and these dealers is boosted by the implementation of attractive incentive packages and ongoing support with product knowledge from Knauf Egypt. Dealers have always been considered key to market penetration as they have their finger on the pulse of the market and understand the needs of the industry at all times. Cairo, Egypt (October 24, 2017) – A familiarisation trip to Knauf Russia took place from the 4th of October,2017. 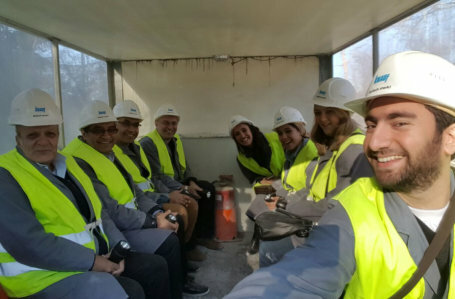 On its second consultant trip this year, Knauf Egypt hosted the consultants of its top agencies located in Egypt for a six days business trip to Knauf Russia. The reason behind the trip is to create bonds with Egyptian consultants and to orient them more with Knauf projects worldwide and business magnitude. It also allowed Knauf Egypt and its consultants to attend a two-day seminar held by Knauf Moscow. Their stay included a tour through the mega plant, an overview of the product range and projects carried out, in addition to the opportunity to learn about different international quality and products standards manufactured in Knauf. A full day tour of Moscow came next, followed by a memorable four-day touristic trip to St. Petersburg. The week-long visit was a valuable step in furthering the development of closer ties between the Egyptian and Russian counterparts, in addition to giving each party a much better understanding of the type of production and industry requirements specific to each region. Knauf Russia is using high efficient technology and has participated in vast arrays of meage projects. It is a highly developed one of knauf biggest production lines around the world, operating in competitive market with high demand . Cairo, Egypt (8/6/2017) – In response to needs from a growing construction industry Knauf Egypt recently launched a new product. Knauf Gypsum Board 9.5 mm has been welcomed by contractors and others in the local market and praised for its new slim line and lighter weight. Perfectly suited to all build types, the new gypsum board has not sacrificed any of the qualities that define the brand. As a leader in the field, Knauf invests in research, development and innovation with German know-how, showing its commitment to producing environmentally-friendly, sustainable products for use around the globe. 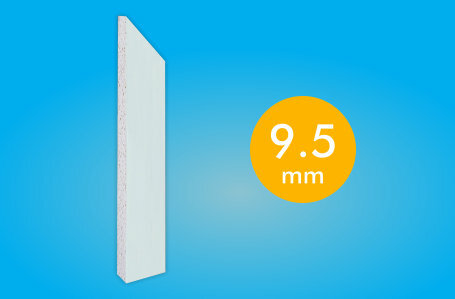 Knauf Gypsum Board 9.5 mm is strong, durable, versatile and meets the stringent standards set by Knauf for all products. Adding to its attractiveness to customers, it is also economically priced, placing it in a very competitive position. Knauf customer support is readily available, along with training sessions on use of this and similar products. Knauf Egypt invited twenty of their valued customers to attend the Knauf Werktage exhibition which took place on the 15th and 16th of February 2017 in Stuttgart, Germany. Attendees accompanying the Knauf Egypt team included ten consultants and six local dealers, in addition to four representatives from African dealerships. Werktage is a regular event, enabling Knauf Germany to present their wide and diverse range of products as well as showing their usage. 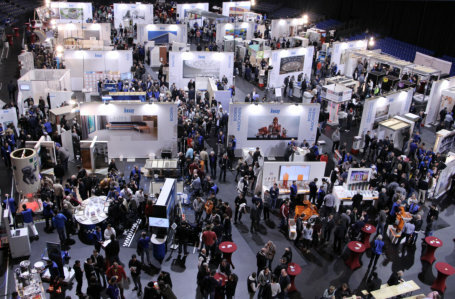 Werktage is not only a platform for showcasing products, it also creates networking opportunities for consultants, contractors, and dealers, allowing them to benefit from an exchange of ideas and experiences, providing an added level of benefits for both Knauf teams and their visitors and guests. A group of leading construction industry dealers recently enjoyed a trip to Dubai in the company of members of the Knauf Egypt team. The visit to Dubai was in recognition of the dealers’ role in bringing Knauf products to the market. The trip took place from 28th of December, 2016 till 3rd of January 2017. 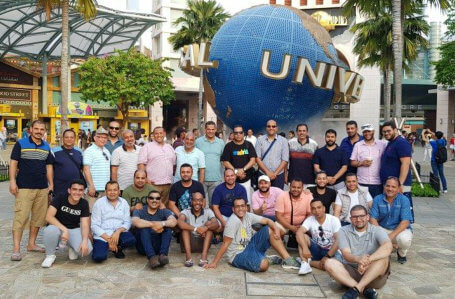 This was just one of several trips to an exciting destination to be hosted by Knauf Egypt in the course of the past few years, and it gave the group a chance to enjoy each other’s company in a relaxed ambience while experiencing the vibrant Dubai lifestyle. 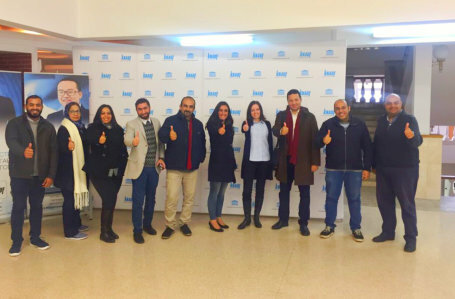 Knauf Egypt regularly hosts trips to various locations, allowing members of the Knauf team to create closer ties to the dealers they interact with in business. The Dubai trip proved to be yet another success and was enjoyed by all. Knauf Egypt places immense value on its relationship with the many consultants, dealers and contractors it works with on many projects. To show both appreciation for their loyalty to the brand, and to allow them to learn more about the exciting developments in Knauf systems and products Knauf Egypt arranges yearly visits to Knauf headquarters in Iphofen. This year the visitors made a visit to a gypsum mine, where they were able to view the extraction process of pure gypsum first-hand. This was followed by time at a plant where they were able to see the stages of the production process. Time was also given to seminars where the visitors from Egypt learned about Knauf standards, certification and extensive range of products. By having the opportunity to see the efficiency and organisation that goes into the production of every Knauf product the visitors gained a valuable understanding of why Knauf is the market leader in its field. Then, to allow everyone time to unwind and relax after an intense programme the group continued to Spain for a short break, where they soaked up the wonderful atmosphere and hospitality before returning home. 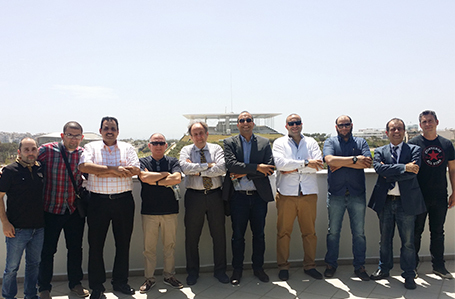 Knauf Egypt selected its five top dealers to join the Sales Manager and Drywall Manager on a trip to Knauf Greece in the middle of last year. This annual event visits different Knauf locations and serves to expand the dealers; product knowledge by viewing various production processes, along with giving them a chance to meet each other. During the week-long visit the group paid a visit to Knauf Greece head office and the Knauf Aquapanel plant, where they had a full introduction to the stages of production. Further trips are planned for coming years, giving dealers the opportunity to learn more about Knauf and its wide range of building products, systems and accessories. Knauf Egypt, part of the multinational, family-owned company based in Iphofen, Germany, recently had the pleasure of receiving Mrs. Isabel Knauf. The company is well known for drywall gypsum boards and is a leading producer of building materials and construction systems for drywall construction and insulation materials under the company Knauf Insulation. 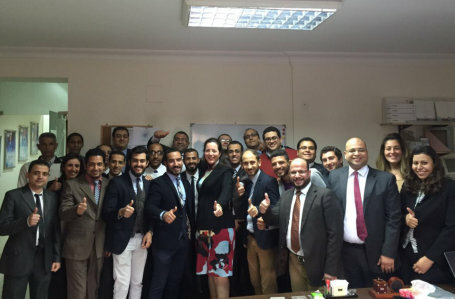 Mrs. Knauf visited Egypt to personally congratulate the Knauf Egypt sales team for meeting their targets and for their exceptional ongoing efforts. The visit also presented the opportunity to discuss Knauf Egypt strategies for 2017, with a focus on the introduction of the latest products to meet market requirements. The visit was considered a great success, and was deserved recognition of the important role Knauf Egypt holds in supplying top quality construction materials to a rapidly expanding industry. In the world's second most populous landlocked country, Uganda, Knauf Egypt decided to increase the market awareness not only for Knauf products, but also for the company’s profile, history and complete systems. 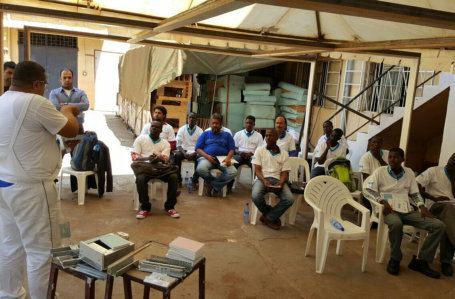 Knauf Egypt started to supply the Ugandan market in the middle of 2015 and recognizing the potential of the market, it decided to organize onsite training, which took place on the premises of Knauf customer “Super Hardware & Suppliers (U) Ltd”. The response was very high and people from different sectors started to come from different places of Kampala. Mr. Georgios Zachopoulos, Managing Director of Knauf Gypsum Tanzania Ltd., and Mr. George Charalambous, Export Manager of Knauf Egypt, were responsible for organizing the training together with the customer and other colleagues from Knauf Kenya and Knauf Egypt. The training included 63 attendees from different sectors and lasted for three consecutive days. Theoretical and practical material was presented in the training and at the end of the training, each trainee was handed out a personalized certificate. They gained a broad knowledge about Knauf’s complete systems and especially the solutions Knauf can offer. Definitely considered the main event on the calendar for the construction, agri-business and allied industries for Sudan and the neighbouring region, Projex welcomed the participation of Knauf as the only company present at the exhibition producing dry wall construction systems and gypsum boards. The event hosted 84 companies in the building sector, from 4 countries and provided Knauf with many valuable contacts. Knauf also received ample exposure through the media and exhibition material, which attracted many enquiries. Knauf sees the region as holding a lot of business potential, and in view of favorable trade agreements between Egypt and Sudan plan to pursue opportunities.